The Motolegends Wheels and Waves trip is on! Click here to book this trip today! Many of our customers, we know, have sampled the delights of the Wheels and Waves festival; many more, we suspect, would relish the opportunity to do so. But Biarritz is quite a trek. Some people will be concerned about whether their bikes will make it there and back. Others simply won't want to ride there and back, or have the time to do so. Which is why we have put together this supported trip. It will allow some people to ride down and fly back. It will allow some to fly out and ride back. It will allow some to fly out and fly back, use their bike out there for all or part of the weekend, and then have us bring it back to the UK. In early May, we had an opportunity to conduct a full recce and drive the route, so now we can be a bit more definitive about some of the arrangements, the route we'll be taking, and so on. We envisage meeting up with our clients at Motolegends early evening on Tuesday 7th June. We'll all get to meet one another, for the first time in some cases. We'll have a snack, blow up our tyres, and hand over any bags to Phill, who will be following us down to Biarritz over the next two days in his van. And, by the way, that really is how Phill spells his name! Obviously, there'll be a chance to make any important last minute motorcycle gear purchases. It wouldn't be on to let the side down by turning up in dirty boots, tatty gloves and old fashioned, flared jeans! Phill Sharp, of FCL in Cranleigh, will be our technical back-up for the week. Besides carrying our bags, he will be taking with him all the tools and spare parts that he hopes will enable us all to complete our trip. Phill is a well known classic endurance rider, and an ace mechanic of the "old school". He probably won't be of that much use to you if you're on the kind of bike that needs to be plugged in to a computer to diagnose a fault, but he will have on board an extensive selection of hammers and plenty of cable ties to enable him to work on bikes from the analogue era. The boat we aim to catch leaves from Portsmouth at 10.45pm, destined for Caen. We should aim to be at the port an hour beforehand, and we're allowing two hours for the ride down. This is more than plenty, but it allows for the odd mishap en route, and a fuel stop in Portsmouth. Departure time from Guildford, therefore, will be around 7.45pm. Alternatively, of course, and if it is easier, you can meet us in Portsmouth. Or indeed in Caen early on Wednesday morning. (If you're aiming to fly down, by the way, we would ask that you get your bike to us by the Monday evening). The boat is due to dock in Caen at 6.45am on the Wednesday. You'll need to book your own crossing and berth, by the way. By the time we get on the boat, we will have given everybody a proposed route. And indeed, if you've got a Tom Tom, we'll download the route for you onto your device. There's not really anywhere particularly nice in Ouistreham for breakfast, so we will grab a quick coffee at a bar called Le Phare that is at the end of the big car park that also serves as a roundabout. This is just a minute from passport control. The first night's stop will be La Rochelle, so we're banking on about 280 miles on the first day. Everybody can ride at their own pace. We don't imagine we'll all necessarily be riding together, but however slow your progress, the plan is that Phill will be our "Tail-end Charlie". We've chosen a small town for a coffee stop after around seventy miles into the ride. We'll supply full details when we send out the detailed itinerary. Everybody is at liberty to stop for lunch wherever they want, but the idea is that Phill will stop in the town square, close to our favoured lunchtime venue, so that he can repair, tune, adjust and generally fettle any bikes that need attention. On the first day, we're planning to stop for lunch in Chateaubriant. There's a lovely restaurant off the main square that does a four course lunch for 14 euros. At a time to be agreed, we will set off for the afternoon leg to La Rochelle, with Phill in lonely pursuit. The afternoon leg is only about 112 miles, so we should be arriving in La Rochelle certainly by around five. Just in case it is unclear, we are not really making any bookings or reservations for our 'clients'. The £500 you will be paying to us covers the transport of your bike one or both ways, the transport of a smallish overnight bag, and the services of our ace mechanic with his supply of cable ties in varying lengths. So, you will need to book your own hotel in La Rochelle. Again, you don't need to stay in La Rochelle, but it might be nice for us all to eat together somewhere and so, nearer the time, once we have a better understanding of the numbers, we'll try and get a booking in a local eaterie. Same routine the next day, really. Set off when you want. We recommend sticking pretty much to our proposed route, so that Phill won't miss you if you break down. But, of course, he will have a mobile phone, so if he does accidentally drive right past you, you should be able to track him down. He will park up near our lunchtime stop for those who require his services, or just want to share his company. On this second day, the plan is to lunch at Marmande. The total mileage today is about 290 miles. Phill will also, by the way, be carrying in his van a spare bike for anybody whose machine proves to be beyond roadside repair. That night ( Thursday), all being well, we'll arrive in Biarritz. Everybody will book into their own hotel, and from then on, for the rest of the weekend, it's every man or woman for him or herself. Phill, though, will be around until Sunday afternoon, so hopefully help will never be too far off if you get into trouble. That's mechanical trouble only; he won't be much help with any other kind of problem. Trust me! Now the lorry that is taking bikes down to Biarritz and back will also arrive on Thursday evening by 6.00pm., we anticipate. It will park up at the Ibis Business hotel next to the airport. If you've flown in, you can get a cab to the hotel and retrieve your bike. Over the weekend, there's a full calendar of rides and events. Punk's Peak is one of the highlights, and will take place on Friday morning. 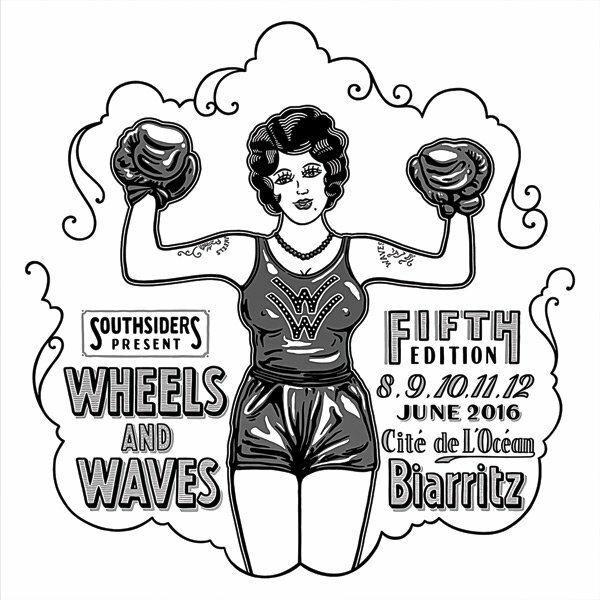 You will need to visit the Wheels and Waves website to find out what else is going on. Once you've had your fun, you can leave and go home whenever you like. It's conceivable that some may need to leave on Friday night or Saturday morning. Others will want to return late on Saturday night; some on Sunday. The lorry that is returning to the UK with the bikes would ideally like to be on the road by 10.00pm on the Sunday. Obviously, we'll make sure that everybody has the driver's details, so that arrangements to pick up or drop off bikes can be made. There are flights back to the UK with both British Airways and Ryanair. Unfortunately, the Easy Jet flights only start a week later. As with other aspects of this trip, you will have to book your own air fares, and as with both the ferry and your hotels, we encourage booking early, as the place does get quite busy over this particular weekend. You can deliver your bike to the lorry at any time, as we have said. Then it's just a matter of getting a cab to the airport. There's only one category of rider I haven't alluded to. I don't envisage there being many in this group, but I may be wrong. If you want to fly down and ride back, the procedure is as you would imagine. We will want your bike here in Guildford on the Monday. You will need to take cab from the airport to the lorry when you get in to Biarritz. This could be on the Thursday evening, or anytime on Friday, Saturday or Sunday. Grab your bike, and set off into the sunset. You won't have Phill and his cable ties to support you on the way back, I'm afraid. Despite this, the cost will be the same £500. As you would expect of Motolegends, there are no deals to be done! Anyway, I hope we've made everything clear. We're not running a motorcycling holiday, per se. We take the view that our clients don't need to be shepherded. Our main task is to transport your bike. But equally it's nice to know there's some support on hand if things go awry. And with many of our clients leading full and demanding lives, we thought the opportunity to visit Wheels and Waves without having to take too much time out would be appreciated. The cost, as I have mentioned, is £500, however big or small your bike, whether or not you ride with a pillion, and whether or not your bike goes one way or two. But both for your place on the lorry as well as for your flights, ferries and hotel, we encourage booking as early as possible. Some of our customers booked their hotels before Christmas! The £500 cost will be charged to your card when you make your reservation. It is non-returnable, as we very much suspect that we will be turning riders away well before we get close to June. The bikes, by the way, are being transported by Chas Mortimer, ten time winner at the Isle of Man TT. Mr Mortimer runs a highly respected bike transport company, delivering bike for many leading auction houses, teams, dealers and celebrities. In a year he transports over 2,500 bikes, so he knows what he is doing. The bikes will be handled with extreme care but, of course, they will be fully insured when they are out of your sight. 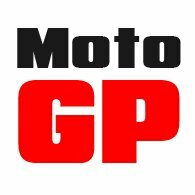 If you have any questions, please email wandw@motolegends.com. We're really looking forward to a great weekend, and hope to be riding with you soon.